Hunting for a quality mid-size luxury sedan carries many variables along your search. Not only do you need the assurance that your model is able to handle any changing road conditions that it comes across, but you might also want the peace of mind, comfort, and confidence that accompanies so many of these vehicle types. 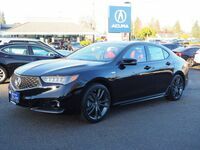 With this, our Acura of Salem sales team wants to introduce you to the new 2019 Acura TLX, currently available in Salem OR with everything you need to enjoy each daily journey. 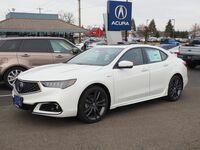 Available with both a 206-horsepower, 2.4-liter Inline 4 engine, or a 290-horsepower, 3.5-liter V6 option, the 2019 TLX has enough punch to satisfy every desire you have on the road. Keep reading to learn more about what Acura’s entry into the midsize sedan market can handle! The 2019 TLX model’s power ratings don’t tell the whole story of its capability – you’ll also be in line for its Integrated Dynamics System, which offers four available drive modes (Econ, Normal, Sport and Sport+) that can tailor to every unique drive style that you have. Plus, it also offers an available Super Handling All-Wheel Drive™ (SH-AWD®) system, which can handle curves and power transitions with ease. 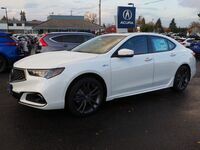 If you would like more information on what the 2019 Acura TLX can do, be sure to contact our Acura of Salem sales team with any questions you might have. We’re happy to help you with anything you want to know, and we can even get you set up with a test drive once it appears on our lot! 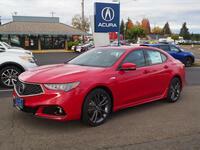 Interested in a Acura TLX?